Designed to provide an enclosed area that meets AS60079 Hazardous Zoning Standards for Paint Application, Mixing and Preparation. 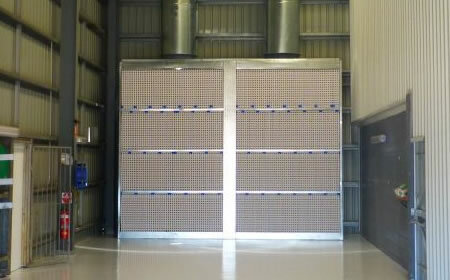 Extraction Walls with Curtain Separation provide a spray and prep environment suitable for commercial and private aircraft companies. 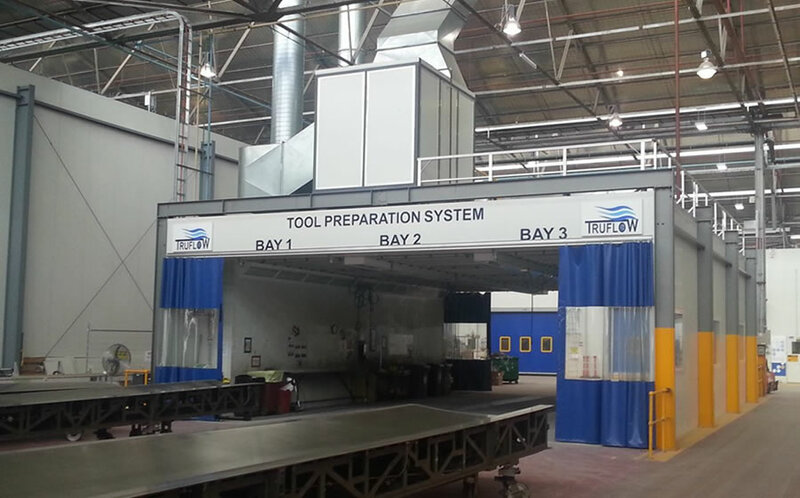 Preparation Bays designed for the Aviation and Aerospace industry are unique. Each unit must have specific airflows rates based on the size of the area and required air changes specific to the process. 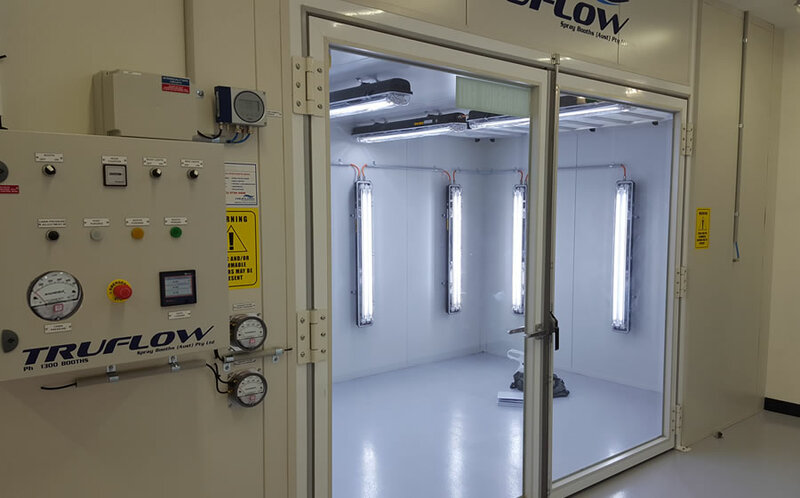 The preparation booths can be in open, enclosed or semi enclosed cabins with airflow velocities in either a crossflow or down drafting format. TRUFLOW have designed, engineered and implemented sanding, preparation and tooling bays for some of the worlds largest aviation companies in both commercial and private sectors. Preparation facilities can be designed for a complete new build facility or integrated into the refurbishment of existing facilities; each design is a case by case solution, developed and engineered by the Truflow Team. 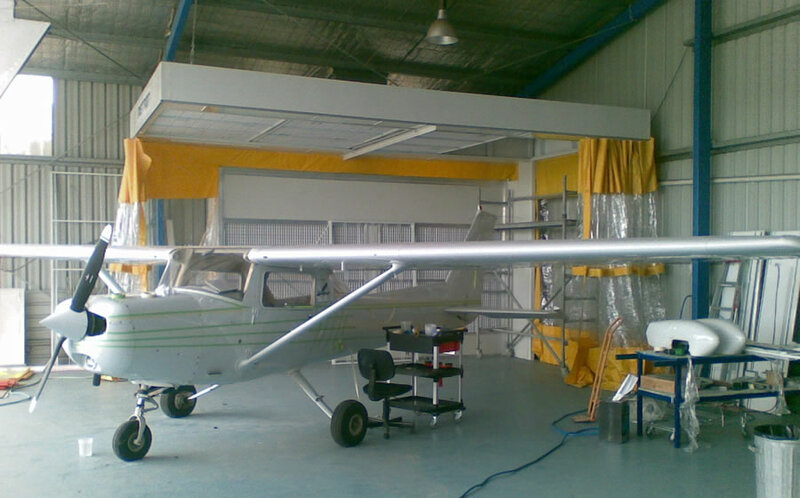 Aviation preparation bays are designed to provide ventilation and containment of sanding dust, preparation materials, stripping fumes or cleaning fumes associated with the process required to preparation aviation components or aircraft’s for paint. 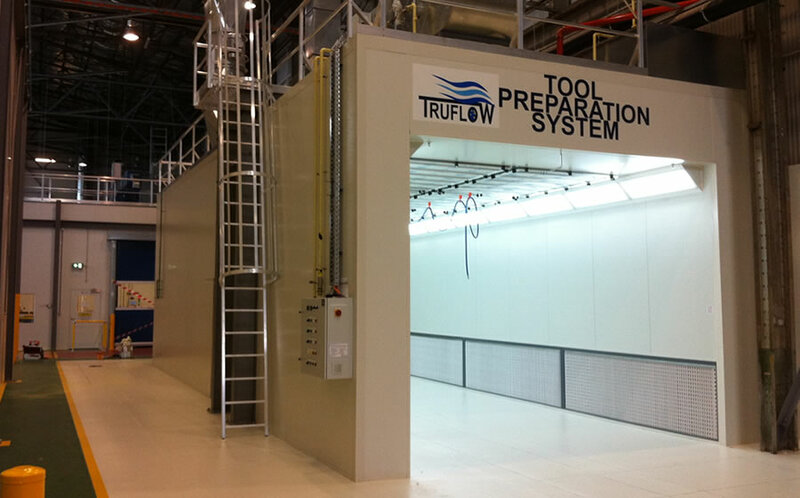 TRUFLOW designs preparation Bays with the ultimate goal of provide a safe working environment for operators, clear visibility during the prep process and a dust mitigated environment to ensure specifications and standards are met and exceeded. Filtration methods used vary depending upon application and type of paints being sanded – Chromate filtration is available in 3 stage formats. Dry Ice Blasting has been successfully used in the Aviation Sector to non abrasively blast and prep tooling or components. 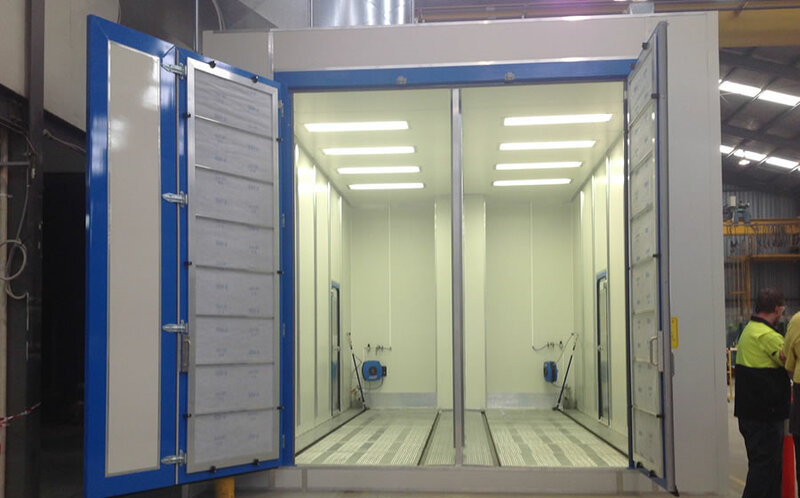 Environmental Cleaning and Surface Preparation systems have helped manufacturers meet stringent industry demands by providing a composite tool cleaning solution that is fast, delicate and does not use solvents. 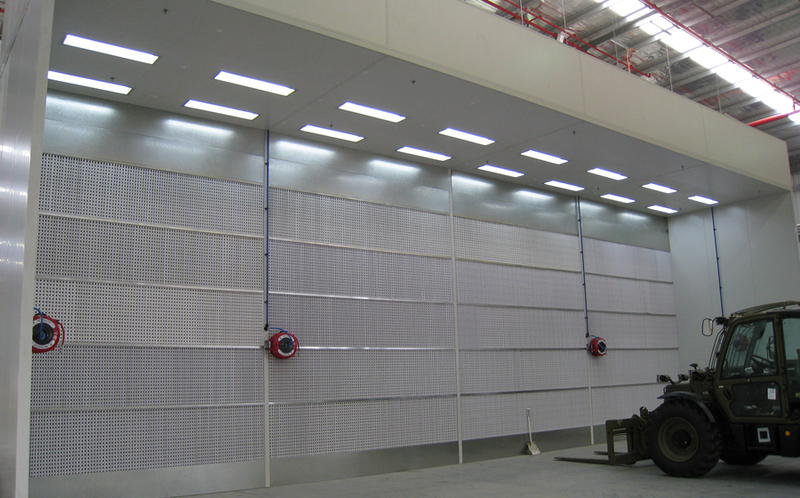 Blasting Rooms dedicated to this process must be manufactured in accordance with zoning and ventilation requirements. 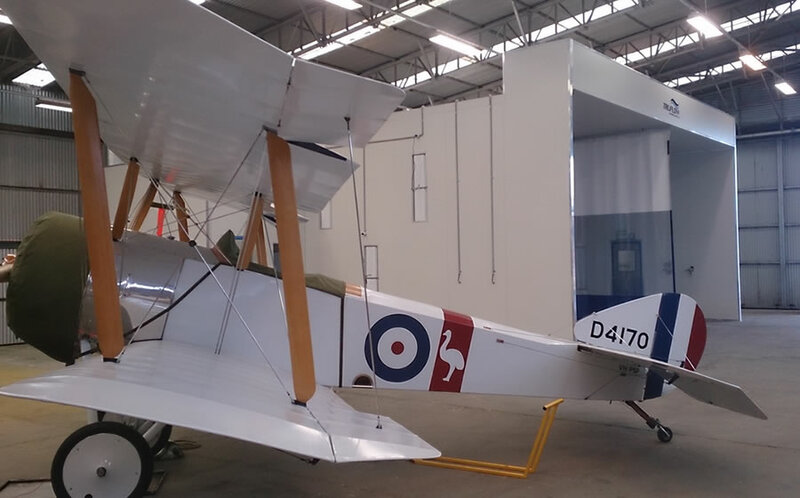 Aviation Component Spray Booths and Prep / Stip facilities can be combined to create a single multi purpose facility for the preparation and painting of aviation components. Facilities can be joined via a sliding door with independent controls or have one dedicated room with all required equipment, tooling and environmental ventilation controls in one facility. Designated Spray Painting Areas can be permanent or temporary areas that provide a compliant, appropriately ventilated and zoned space to paint and Prep objects which are typically oversized or unique in a way that spray painting could not be conducted within a conventional Spray Booth Cabin. 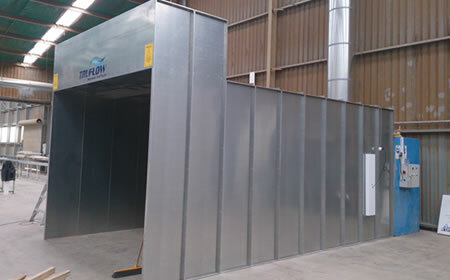 Extraction wall and cabin area preparation areas are designed for both sanding and priming applications with the ability to apply top coat in medium volumes.This industrial production type booth features an open-face booth design, high-capacity filter and low-noise fan. 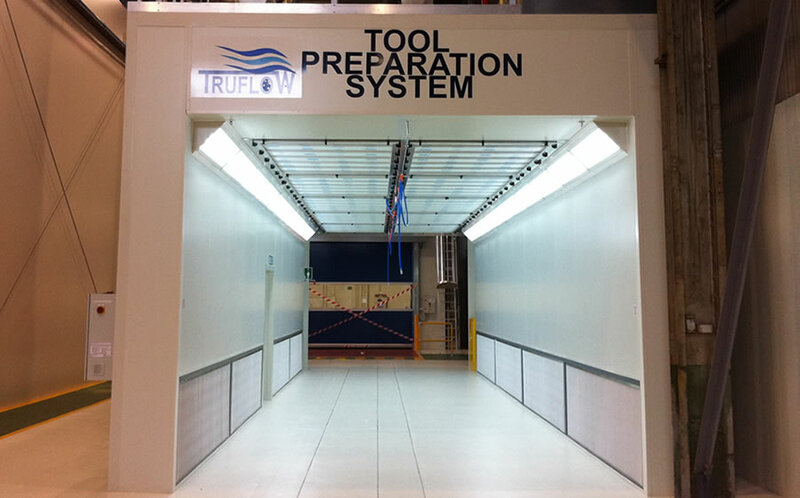 TRUFLOW preparation bays for automotive applications are the smartest way to increase productivity in your panels shop. 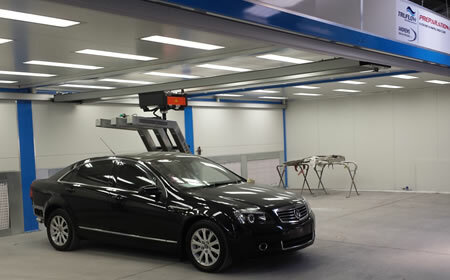 The Automotive prep range are available in a multitude of configurations to suit any workshop layout no matter how large or small TRUFLOW can tailor a solution to meet the situation.